Seen through the windshield, first shooting star is precipitous, unbelievable. It appears at the hazy edge of vision and even before my eyes in reflex dart to see it it's gone. It is a thing of transcendental frailty, like an orb of dense magic, or a grain of sand in some stellar hourglass. And so come the rest, plummeting now through the atmosphere in Jupiterian rhythm, the weight of their celestial histories burning up behind them. Flowing eons in the comet's cosmic stream ended now (for now) by the deep graviton tides of orbiting Earth, strange new home. Look northeast on a late summer night. In the trail of a falling star it's all laid bare. One-lane road, headlit tunnel through trees, til trailhead. Sweating in the torchlight, more climb than hike through firs, canopy only known by the starlight shapes left uncovered by needly boughs. Suddenly whole expanse of nighttime sound is laid out before me, twinkling electronic moonlight metropolis. But trail kept up. 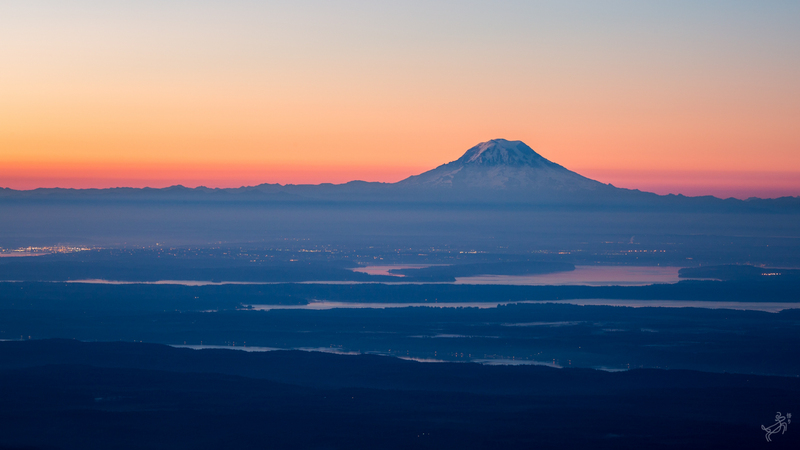 Make peak as the first predawn orange swell silhouettes Rainier. 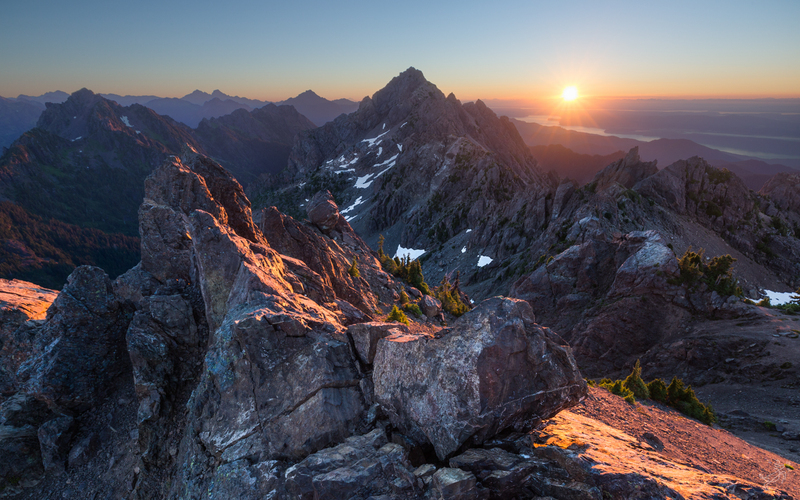 Not long til Cascade sunlight crests radiant. Day. 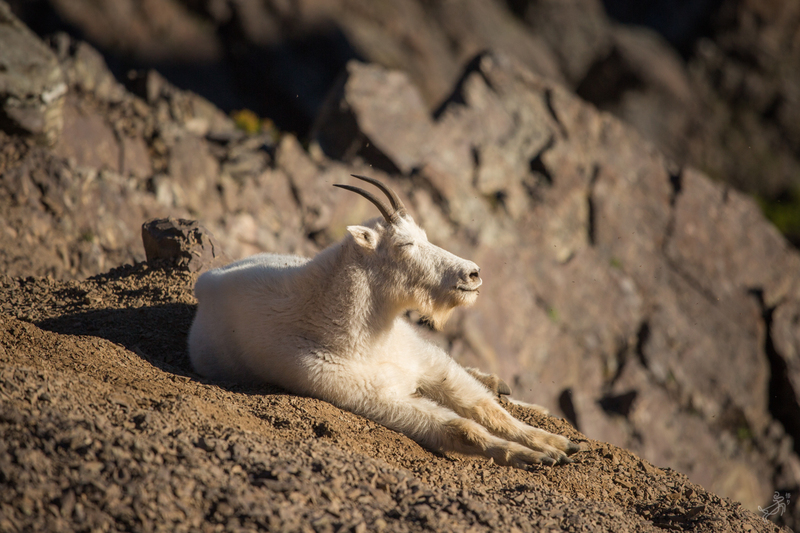 Mountain goats lounge on Ellinor's shoulder, digging for food and cool earthen relief, August sun's now blaring. Quarrels now and then arise abruptly from obscure breaches of protocol, or simply hot blood, but are forgotten just as quickly. Introduced Species. I wonder if they feel how alien they are to this place? If they long for their natural Northern Rockies in some vague way, for not having to dig away from the heat quite so much. If they feel in that way the burden of their presence here, the karma we've given them in our uninvited meddling. They too were drawn here, by forces beyond sight, beyond memory, to this strange new home. National Park Service - Centennial and Legacy! Photos, text, & logo © Will Crites-Krumm, All Rights Reserved. Powered by Blogger.